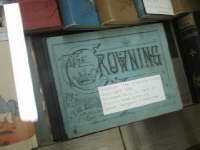 Description Song book "The Crowing Victor" copyright 1888. Belong to E. B. Park of the Prairie.